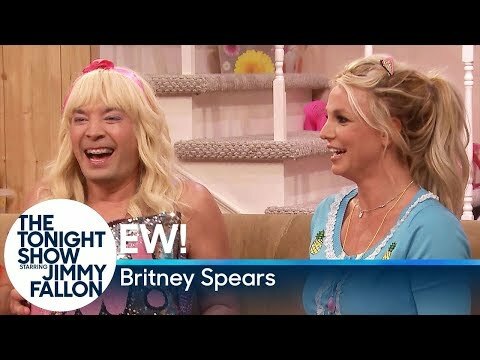 Jimmy Fallon vs. Britney Spears vs. "EW!" (WATCH VIDEO) Jimmy shows a clip from "Ew!" in which Sara and her camp BFF Abby (Britney Spears) show each other Throwback Thursday Instagram photos and play Fashion Freeze.